Yeah, it probably was a boondoggle, one that would have a portion of today’s population howling about government waste and deficit spending. But here at The Legal Genealogist, all there is — all there could be — is deep abiding gratitude at the bureaucratic boondoggle known as the Works Progress Administration. First established under and funded by the Emergency Relief Appropriation Act of 1935,1 its work wasn’t nearly done when, 74 years ago today — on 21 June 1938 — President Franklin Delano Roosevelt signed into law the Emergency Relief Appropriation Act of 19382 that allowed the WPA to continue — and to create some of the most amazing genealogical resources that will ever exist. And even that’s not all to thank the WPA for. There are also the photographs. 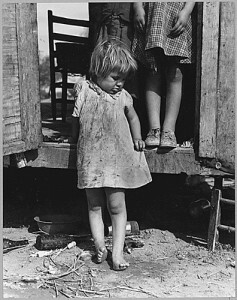 Hundreds and hundreds available through the Library of Congress Prints and Photographs Online Catalog. Thousands more available at the National Archives. 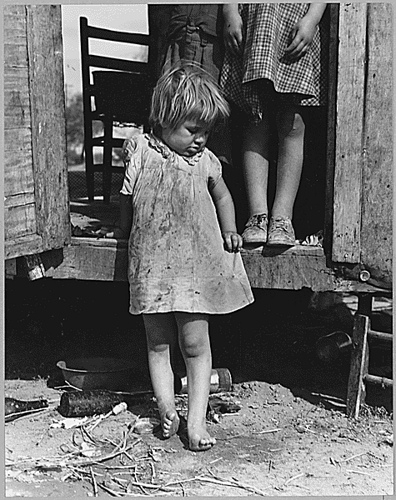 Thousands more available through state and local archives.12 Thousands more than that available through online sources such as the New Deal Photo Gallery at the New Deal Network of Columbia University. Oh the WPA may have been a boondoggle, all right. And the money authorized 74 years ago today was definitely deficit spending. But oh boy … where would we be without it? Do you know if WPA pay records exist? I have a couple of grandparents who supposedly worked “a bit” on WPA projects. I have always wondered if records exist which might support this family lore. Thanks as always for your very informative posts! I don’t see specific pay records of individual WPA workers in the overview of Record Group 69 at the National Archives (see the guide here). Doesn’t mean they don’t exist, and I’d look first at the field office records, but that’d be a lot of records to keep and I’m not sure that sort of thing would have been a priority. M1299 – Index to New England Naturalization Petitions, 1791-1906. M1285 – Soundex Index to Naturalization Petitions for the United States District and Circuit Courts, Northern District of Illinois and Immigration and Naturalization Service District 9, 1840-1950. M1461 – Soundex Index to Canadian Border Entries through the St. Albans, Vermont, District, 1895-1924. Amazing, isn’t it? Thanks for those specific pointers. Thanks for a great post. Is there a listing of the projects that were undertaken? If I could determine which records exist for the states of interest to me, it might become clearer where to go to ask for them. Thank you. I don’t know that you’ll find a complete list of all of the projects anywhere. There is a 1998 reprint available of Sargent B. Child and Dorothy P. Holmes, Check List of Historical Records Survey Publications (Washington, D.C. : Govt. Printing Office, 1943) available at Genealogical.com. But there are lists of WPA publications for almost every state. Check Google — or your state archives and library. Fantastic post, Judy! I just purchased one of the WPA Guides (South Dakota) off eBay a few months ago and it is truly a gem. I’m glad to know there is even more out there to find! Lots more. I’ve used several, most recently the West Virginia guide. I’d always known my maternal grandfather, who died in 1992, worked for the WPA. What I didn’t know until the 1940 Census was that he was a Sr. Clerk for the Historical Records Survey in Western MA! Oh, if I had only known–the questions I would have asked! Thanks for the additional resources on this–it’ll help answer some of those questions! That’s so cool, Christine! Hope you finds lots of stuff your grandfather was in charge of!